Read more about What Happened to the Pink Tide? or workers or most everyone else. Is Water Pollution Trading Coming to the Midwest? Pollution is a bad thing, right? Isn’t the ultimate goal of the 1972 Clean Water Act to make all water in the U.S. swimmable, fishable, and drinkable – as it once was? Well, think again… If you are a capitalist entrepreneur who believes, to paraphrase Reagan, in the “magic of the market place” then a lucrative opportunity awaits you in the emerging water pollution trading business! Read more about Is Water Pollution Trading Coming to the Midwest? This effort has been handicapped by the lack of a hard-headed history of the IWW in its initial incarnation, from 1905 to just after World War I. The existing literature, for example Franklin Rosemont’s splendid book on Joe Hill, is strong on movement culture and atmosphere. It is weak on why the organization went to pieces in the early 1920s. Serious problems in the nation’s flood insurance program have received heavy media coverage over the past three months. But flood insurance, like any insurance that covers a single type of (un)natural disaster, is burdened with inherent contradictions that always threaten to scuttle the system. Organised labour has long insisted that energy is more than an issue of electrons. Over two decades ago, the Congress of South African Trade Unions was explicit that addressing energy poverty is not just a matter of power plants, grids and transformers; it is also – and primarily – a matter of political change. Who controls energy production, who finances it, what the energy is used for and who decides are key to the struggle to ensure that people have the energy they need to ensure decent livelihoods. 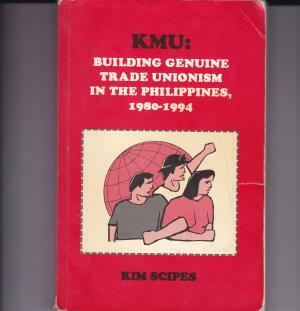 Earlier this year, a collection of papers was published under the title of Building Global Labor Solidarity in a Time of Accelerating Globalization (Scipes, ed., 2016). It was a strong effort by seven labor activists and scholars from different parts of the world to think out how workers today can support each other globally; initially so as to defend against attacks on workers’ and their unions’ power, but ultimately, to develop ideas on how we could more consciously develop our thinking and our organizations to move toward a more economically- and socially-just world. In the past weeks four progressive governments in the region show unmistakable signs of weakness. Rafael Correa will not compete for re-election, in the context of an uncertain economic outlook for his country. Dilma Rousseff may face impeachment by parliament. Nicolás Maduro suffered the first Bolivarian electoral defeat, leaving his government at the mercy of parliament, and Cristina Fernandez’s candidate was defeated by the right-wing Mauricio Macri.